Traditional small business loans from Metro Detroit banks were once commonplace. Today, not so much. If a bank is willing to lend money to a small business in Metro Detroit, it’s only to those select business owners who can prove that they don't actually need the money. Big banks in Metro Detroit are just not lending to small local businesses, such as: cafes, restaurants, bars, clothing stores, coffee shops, breweries, boutiques, and other locally owned brick and mortar shops. Studies from the Federal Reserve Bank of New York now show that small business owners are turning towards online funding companies and alternative funders such as LVRG, instead of even approaching traditional brick and mortar banks. The trend has picked up pace during past couple of years, and small businesses throughout Metro Detroit are benefiting tremendously. So, what exactly is a small business cash flow loan? For this type of small business financing, lenders provide you funds and use your future expected cash flow as collateral for the loan. You’re essentially borrowing from cash that you expect to receive in the future by giving the lender the rights to a predetermined amount of these receivables. Small Business cash flow loans are primarily used for working capital, or to take advantage of short-term ROI opportunities. Your credit scores will usually be checked, but they play less of a role. As the name indicates, a lender is more concerned with inspecting your cash flow (usually bank statements) to approve your application. Turnaround time is another great feature of a cash flow loan, as funding usually takes place in a matter of days, sometimes same day. Buying equipment – Could a new computer, desk, telephone, cash register or software come in handy? Money to pay for the purchase of necessary business equipment could help boost your profits. And if this cash isn’t readily available in your account, a small business cash flow loan can provide you with these funds. Paying employees – Instead of running your business like a one-man show, a few extra hands could really help. Spending borrowed money on employee’s salaries can be the answer rather than disrupting your current cash flow to cover this expense. Purchasing inventory – One of the most common uses for a small business cash flow loan is buying inventory. It takes products in stock to make business profitable, so it only makes sense to invest in enough inventory to make sure you always have enough to sell to clients. Don’t fall short on inventory, because you’re short on cash. A small business cash flow loan is ideal for purchasing inventory quickly. Expanding the business – If your business is experiencing some success, you might want to start thinking about taking things to the next level. A lump sum of cash might be just what you need to get business booming. Cash flow loans can be obtained despite low credit history and low exiting capital. A small business in Metro Detroit with only a few months of operating history also obtain cash flow loans from LVRG Funding. Lenders for small business cash flow loans do not consider existing assets of borrower, but counts on future cash flow projections. In case of traditional banks, it’ll be nearly impossible to obtain anything if a company does not have enough assets, a very good credit history, or no credit history at all. Moreover, small businesses need emergency back-up that should be quick to arrive. Even small setbacks can damage cash flow of a start-up and discourage it completely if re-enforcement didn’t arrive immediately. This is where cash flow loan providers enjoy advantage over traditional banks. If you apply for loan with a traditional bank, then you need patience because the formalities and process may take from some weeks to months before you actually get your loan approved. Even after approval, you will have to wait before you get your hands on money. Small businesses, in need of quick re-enforcement, will definitely prefer a quicker source of loan. Cash flow loans are passed in hours, not in days or weeks. That’s a big advantage over traditional banks. Despite being pricier than a bank, cash flow loan providers are favored by small businesses because of this very benefit. Second factor, that is also associated with the time factor, is the documentation and application process. Not only the documentation is complex in case of traditional lenders, but it ask for a lot of time to compile, review, and submit all required formalities. Then, the application is reviewed by the bank, which might take some days or weeks. However, cash flow loan funding companies such as LVRG have made it an easier apply and get funding in as fast as 24 hours. Again, it’s like heaven for small business borrowers as they have an easier, less complicated platform to meet their financial needs. Will it help you take advantage of inventory discounts? Imagine you have an opportunity to buy bulk inventory at a discount. A cash flow loan can help if you don’t have the money to make the purchase. Are you entering a slow period? Another example: You own an ice cream shop and winters are slow. Ideally, you’d budget for this by saving more in the summer months, but a cash flow loan could get you through in a pinch. Do you have a lot of outstanding invoices? Many small businesses experience uneven cash flow because their customers pay invoices weeks or months after receiving their product or service. If you’re in this situation, a short-term small-business loan could bridge the gap, but consider invoice financing instead. 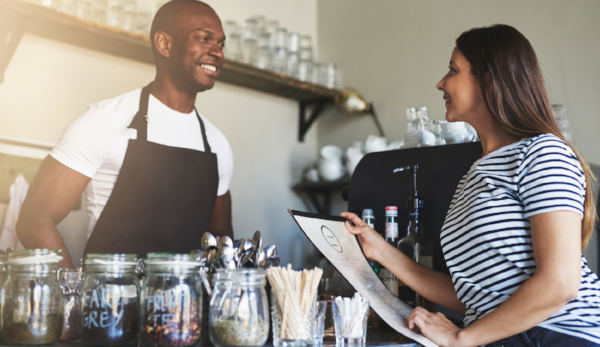 Short-term cash flow loans are best used for short-term projects that would divert money from day-to-day expenses but ultimately grow your business, like taking on a big contract with a major company or adding extra seating in your restaurant. If you need cash fast, a cash flow loan may be your lifeline. For starters, we are a local small business funding company with a vested interest in Metro Detroit Small. We are an established small business finance company, backed by local finance professionals with an extensive track record of success. We combine data-crunching software with a human touch to come up with affordable funding solutions that best fit your needs. LVRG is a team of the right people, working with the right data, getting you the right-sized funding for your business. We know that time is of the essence when it comes to obtaining financing and our quick closing time will ensure that you get the money you need, when you need it. Headquartered in Detroit's Historic Ford Building, we are a “local” finance company dedicated to helping the local small business community thrive and grow. Give us a call today (855) 998-LVRG, we're here to help! A "Local" Small Business Loan Company, Fueling Metro Detroit's Small Businesses! Detroit Small Business Loans; Including Corktown, Downtown, Eastern Market, Midtown, New Center and Riverfront. Quick & Easy Small Business Funding Detroit. Fueling Metro Detroit's Small Businesses! Metro Detroit Small Businesses Turn to LVRG Funding for Capital. Small Business Loans Detroit. A local small business funding company, providing capital to locally owned independent businesses in Southfield, MI. A local small business funding company, providing capital to locally owned independent businesses in Detroit, MI. A local small business funding company, providing capital to locally owned independent businesses in Royal Oak, MI. Small Business Loans in Ferndale, MI. Royal Oak Small Business Loans. LVRG Fuels Small Businesses Throughout Royal Oak, Michigan. Small Business Loans in Metro Detroit. Older PostWhat is a Merchant Cash Advance Factor Rate and How Can I Calculate My Payments?